Do I dare hope that this will actually be good? Power Rangers, the franchise, is all about fighting on top of fighting. And now there's a new fighting game coming that lets you settle once and for all which ranger is the best (yellow. Always, always yellow). 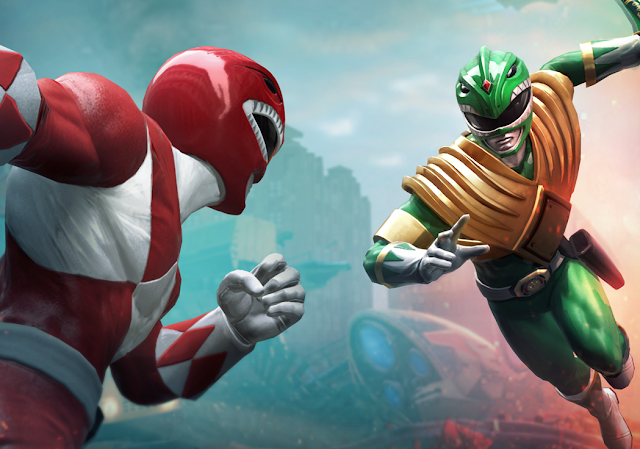 The full title is Power Rangers: Battle For The Grid. It's being developed for all consoles (PlayStation 4, Xbox One, Nintendo Switch), as well as PC by nWay. nWay is predominantly a mobile game developer, but it has experience with the Power Rangers franchise, so hopefully that will shine through with this new fighter, which is promising to cover the full 25 years of Power Rangers history. We're also being promised that this fighter is accessible. From the release: "Gone are overly complicated command inputs or long patterns. In this easy to learn, hard to master game, the depth is knowing when to strike, not how." That could go either way, of course, but I'm always up for fighters that reward strategy over the ability to memorise and execute long, irritating combos. The trailer has a bit of gameplay in it, and it looks a little Mortal Kombat-like. That's a good thing, assuming the team pull it off. No firm release date, though we're promised "later in 2019." We'll be keeping an eye on it for sure.